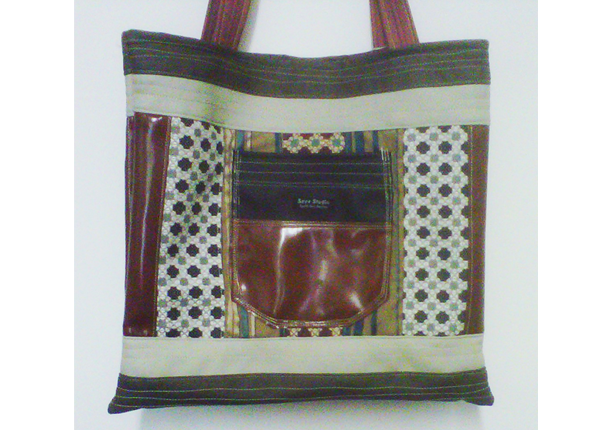 This bag is a combination of fabric (geometric patterned and striped) and vinyl with decorative top-stitching, magnetic snap closure and both interior and exterior pockets. Approx 17" square. 100% of the proceeds go straight to Tucker. Get more information at the Saya Studios web site.